Dr. John F. Darby Jr.
John F. Darby, Jr., D.D.S. Dr. Darby graduated with honors from the University of Florida. He obtained his Doctorate of Dental Surgery form Emory University School of Dentistry where he also received the C.V. Mosby Award for Excellence in Operative Dentistry. Dr. Darby completed his residency in the specialty of Periodontics at the Medical College of Georgia in 1982. Dr. Darby has extensive training and special interest in all aspects of dental implant therapy, to include interactive CT diagnosis & treatment planning, computer guided surgery, soft and hard tissue surgical management of deficient ridges, and in the restoration of dental implants. 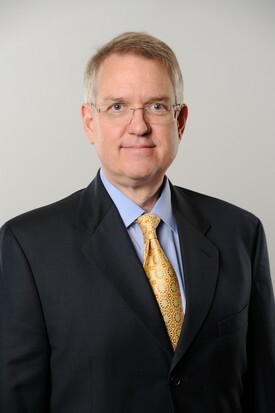 He initiated his post graduate implant training at Northwestern University Dental School in 1995. Additionally, he completed post graduate curriculums at the University of Miami School of Medicine, Baylor College of Dentistry, Division of Oral and Maxillofacial Surgery at Montefiore and at the Nobel Biocare, Pikos, and Misch Implant Institutes. Dr. Darby is originally from Sanford, Florida and has resided in Ocala since 1982. He has provided state of the art, comprehensive periodontal and implant care to the Marion and Citrus county populations for over 30 years. Dr. Darby strongly believes that the highest level of patient care is achieved by collaborative diagnosis and close team work with his referring doctors. It is his position that both the periodontal and implant care are prosthetically driven, beginning with the restorative end in mind. 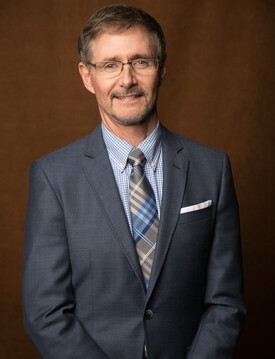 Timothy Johnson, D.M.D. received the American Academy of Periodontology’s Annual Student Award for scholarship upon graduation from the University of Alabama at Birmingham in 1987. Dr. Johnson then completed periodontal specialty training at the University of Alabama, one of the nation’s leading dental research institutions, with a joint appointment to the Veterans Administration Hospital. Dr. Johnson is one of a handful of periodontists in the country who holds a degree in pharmacy. Dr. Johnson grew up locally in the Ocala area. He has provided state of the art, comprehensive periodontal and implant care to the Marion and Citrus county populations for over 28 years. Dr. Johnson has extensive training in all aspects of dental implant therapy, to include soft & hard tissue surgical management of deficient ridges, and the restoration of dental implants. Additionally, he completed post graduate curriculums at the Nobel Biocare, Pikos, and Misch Implant Institutes. Dr. Johnson believes that both periodontal and implant care are prosthetically driven, beginning with the restorative end in mind. He is a firm believer that a true professional must always be educated on the latest dental advances so that every patient can be assured the finest, safe, and most comfortable care available today…and tomorrow.